Okay, time to “wrap up” my end-of-the-year “wrap up”. Last week I posted my annual Movie Board articles featuring the best and worst movies of 2010. I’ve been doing those lists since 2007. Starting last year, I added The Book Report reviewing all the best books I read throughout the year. Today is the 2010 Book Report. During the year, I keep a Google Spreadsheet logging all the books I read. Here’s a screenshot and link to the spreadsheet. Google Spreadsheet containing my book log. The spreadsheet tells me I read 62 books this past year. That’s about 10 more books than the year before. I read a lot more graphic novels this year as opposed to last year which accounts for the increase in books. Those graphic novels can be read in an afternoon, so it pumps up my book totals. Plus I read several Young Adult books that took only a few days to read. I also did a lot of re-reads this past year. I re-read 6 or 7 Star Wars novels I hadn’t read since the 90s. I also re-read the final Harry Potter book. Every once in a while I get in a kick of re-reading books I loved but haven’t read in years. After two or three years, you’d be surprised how much you forget about the story. It’s like reading the books again for the first time. But I will not include any books I re-read in this list. Only books I read in 2010 for the first time will be included. Anyway, on to the list. Here’s the best books I read in 2010 in no particular order. 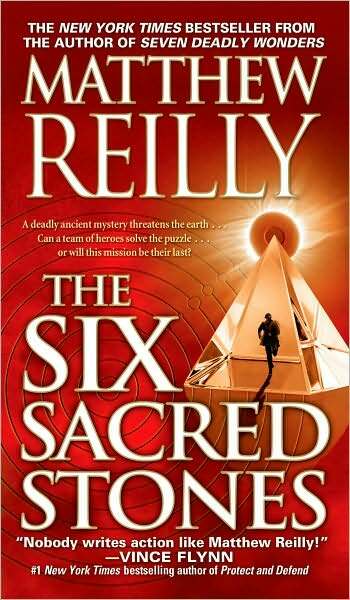 Jack West, Jr series by Matthew Reilly – I found the second book, Six Sacred Stones, in a box of books my buddy Dr Mike was getting rid of a year or two ago. I read the back and it sounded good, so I took it. Mike mentioned he thought there may be a book before it because he felt he was missing some of the story when he read it. I searched Paperbackswap.com and found out he was right. So I ordered the first book, Seven Deadly Wonders and read both books back to back. And I loved them. The story is very much part Indiana Jones, part Da Vinci Code and part National Treasure. The action is very fast paced. I had read two other Reilly books, Area 7 and The Contest, before this and they were equally as awesome. Reilly really can write fun action books. The story centers around Jack West Jr, an Australian military solider and his international and eclectic team who discover that a supernatural event will soon cause the end of the world and set out across the globe, uncovering clues to find out how to stop it. That’s a really high level explanation, but you get the idea. The third book in this series, Five Greatest Warriors, was just released in paperback on Dec 28. I read it last week. Unbelievable. I love each one of these books. The first one, Seven Deadly Wonders, is the best, followed closely by Six Sacred Stones and Five Greatest Warriors which are tied. Such good reads. I am concerned though. The final page in FGW actually says THE END. I don’t know why you’d start a series counting down from 7 and then not finish it because the story in Book 3 ends with no cliff hanger. However, Reilly has stated he has other ideas and if he continues Jack West’s story, it’ll count down to 1. I’m glad, because I adore these books and want more. I may have to continue Reilly’s other book series about a special forces soldier code named Scarecrow while I wait. 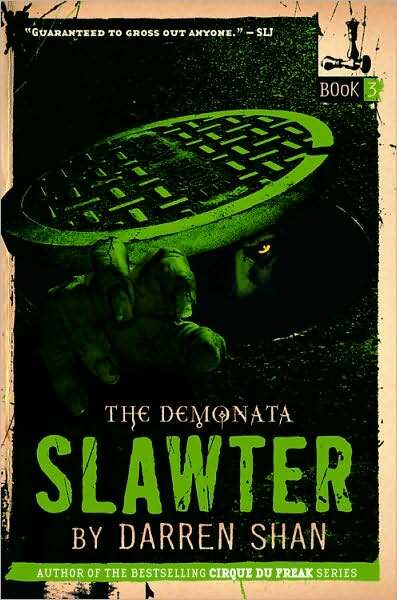 Demonata series by Darren Shan – I was recommended this series by my brother-in-law’s brother-in-law (brother-in-law once removed?) Anyway, he knew I liked Darren Shan’s Cirque Du Freak series so he told me to give this series a try. And I did. And it’s awesome. 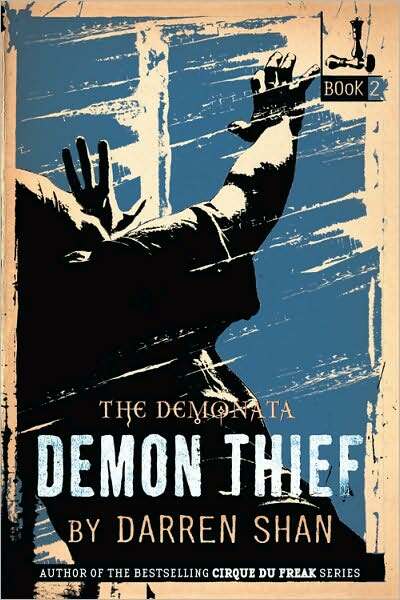 Very dark and sinister, Shan is building up a very interesting world of magic and demons. The story is kind of in depth and builds over the entire series so it’s tough to nail down a synopsis for you without ruining anything. But the world is dark and the demons are horrific. 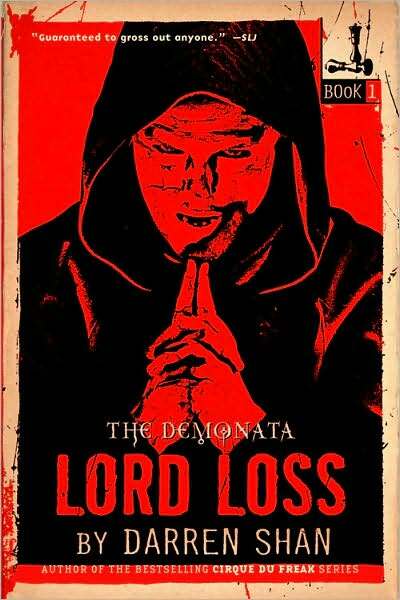 Know that so far I’ve read books 1 – 3 in this series and I plan on reading more. So far the series sits at 10 books. The Strain by Guillermo Del Toro and Chuck Hogan – FINALLY, a good, scary vampire novel that doesn’t involve EMO teens and not very subtle metaphors for losing your virginity. Vampires are horrifying again. REJOICE! A disease outbreak team investigates a commercial airliner that lands in New York and goes completely dark. Everyone on board is dead and it looks like they were killed by some pathogen. It is also apparent there may have been someone else on board who has now escaped and is roaming the city. The team scours the city looking for this person as they slowly learn more and more about the pathogen. Fantastic, fantastic book. The authors really bring a cool, fresh perspective of vampires as a viral pathogen. They even get into the biology of how the virus would overtake and assume control of bodily functions. Such a good book and it’s the first in a trilogy. I’ll definitely continue this series. 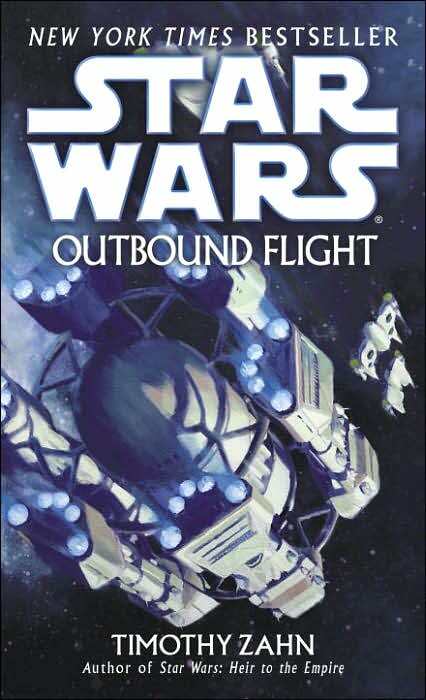 Star Wars: Outbound Flight by Timothy Zahn – I read 7 Star Wars books this year. Only 1 of them was a first time read. I was re-reading Timothy Zahn’s Admiral Thrawn trilogy this past year (it was released in the early ’90s) and I decided to read this book first. It’s somewhat of a “prequel” to the Thrawn trilogy but it was written around 2006. It involves a Jedi project called Outbound Flight (mentioned many times in the original Thrawn books), which was supposed to explore the Outer Rim using six Dreadnaught star cruisers fastened together in a ring around a central storage unit (see book cover). The star cruisers were filled with civilians, military personnel and Jedi. Just after the project was launched, the ships were lost. This book tells the story of that doomed expedition. And it’s fantastic. For having been written so long after the original Thrawn books, it fit in very well. There was also a two book sequel to Zahn’s Thrawn trilogy that I also read for the second time last year. It was also fantastic. Timothy Zahn is, hands down, the best Star Wars author writing right now. He just gets it. If I was counting re-reads on this “best of” list, I would have included Zahn’s Thrawn trilogy as well as Shadows of the Empire (another AWESOME re-read for me). 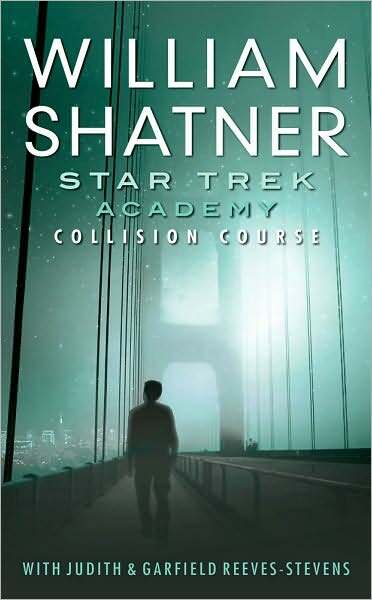 Star Trek: Academy: Collision Course by William Shatner – Holy crap. Shatner can write Star Trek. Nearly every single one of his Star Trek books are awesome. And he’s written a bunch of them. But this is easily his best. This, essentially, is Shatner’s version of how Kirk and Spock met. It’s not in the universe of the newest movie (obviously) and it’s not really considered Star Trek “canon”. It’s a part of what’s known as the “Shatner-verse”. So, so good. Even though Shatner wrote it, I imagined Chris Pine as Kirk and Zachary Quinto as Spock while reading it. I couldn’ t help it. Just a phenomenally well written Star Trek book that I highly recommend. So those were my favorite reads this year. How about some Honorable Mentions? Hunger Games by Suzanne Collins – The Hunger Games books were a trilogy. I read the first two last year. The first book is really good. Dystopian future, lots of action. I really liked it. The second book starts off with 100 pages of horrific boring-ness then pretty much repeats the events of the first book. Needless to say, I’m done. I won’t complete this trilogy. I’ve got enough to read. But, that first book is really good. Artemis Fowl series by Eoin Colfer – I can’t begin to describe how much I enjoy this series. Artemis Fowl is a 12 year old super genius who discovers the hidden existence of magical creatures like fairies, elves and trolls. They have existed among us for centuries. Artemis devises a plan to steal the hordes of fairy gold but then winds up going on several adventures helping the fairies. I’ve read through book 4 at this point. I have book 5 at home and I just got book 6 at Big Lots for $3 (WIN!). Book 7 was released this past August. I have no idea how many books are planned in this series but I’ll be reading them for the foreseeable future. Very fun, very clever series that are quick reads. First Blood by David Morrell – I started this right after Christmas but didn’t finish it until right after New Year’s. It’s good. Really good. Different than the movie. Much more violent. However the book keeps a better balance between the sherriff and Rambo. The movie over-sympathizes with Rambo, the book keeps everything in a moral gray area. And the ending…wow. Totally worth it. Read it. So that finishes up my end of the year wrap ups. Hope you enjoyed them. Stay tuned, I got lots of good stuff coming up in 2011. In May we’ll be celebrating the anniversaries of two seminal Star Wars books; the release of Timothy Zahn’s Heir to the Empire (20 years old) as well as the release of Steve Perry’s Shadows of the Empire (15 years old). In July I’ll be looking at the 25th anniversary of DC’s Superman reboot after the Crisis on Infinite Earths. It was created by John Byrne and Marv Wolfman and involved a complete overhaul of the Superman origin including eliminating Superboy and taking away some of Supes’ powers. It was a great time and I’ll be looking at just how awesome it was in early July. Also in July, I’ll have another Billy the Kid Week. I’ll be celebrating the 130th anniversary of Billy’s death by reading the original biography, The Authentic Life of Billy the Kid, written by the man who shot him, Pat Garrett, as well as several other fiction books based on the Kid. It should be a lot of fun. So stick around, 2011 is gonna be a blast. This entry was posted on January 19, 2011 at 8:00 am and is filed under books, reviews, Star Trek, Star Wars with tags Book Report, books, reviews, Star Trek, Star Wars, Year End Books. You can follow any responses to this entry through the RSS 2.0 feed. You can skip to the end and leave a response. Pinging is currently not allowed. Agree with all. Re-reading “Fatal Alliance” and Crosscurrent. Sof ar, they are better than I remembered. Thanks so much for the list! I’ve now put most of these on my Amazon wishlist. Can’t wait to read them! Thanks for sharing! Books, blah blah blah, books, blah blah. BILLY THE KIDD?? LOL. I’m such a sucker. 2. Bummer about Hunger Games. I have all three books but only read the first. Didn’t love it like everyone else but bummed to hear the second is pretty much just like the first. Was wondering how they’d continue the saga–just another Hunger Games, huh? (don’t answer that). 1. DO NOT mock the Shat. Yes, he has ghost writers, but his Star Trek books are fantastic. 2. Hunger Games was GOOD. Catching Fire was good too, I guess, I just thought, after 100 pages of epic boringness, they would have done something other than have ANOTHER Hunger Games where Kat and the other kid have to go back. Disappointing. As always, awesome selections and fantastic writing! I particularly love giving props the Shatner – he’s very underrated. The Strain sounds really good. And I had no idea that Shatner wrote Star Trek books! Funny enough I’ve been wanting to make time to re-read some of my old Voyager books.